David Mellor, 48, from Barnsley, is charged with aggravated vehicle taking and failure to provide a sample. 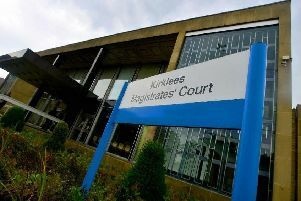 Karn Hill, 23, from Barnsley, is charged with aggravated vehicle taking. Wayne Carroll, 29, from Barnsley, is charged with aggravated vehicle taking. Alan Mawhinney, 53, from Barnsley is charged with aggravated vehicle taking and failure to provide a sample. The HGV, while on Common Road, was then involved in a collision with a pedestrian, 58-year-old Jacqueline Wileman, and two parked cars.